* We are in the process of updating our pages for 2019 season. PLEASE NOTE March 8, 2019 is the deadline for CTCYM Office to receive Scholarship Applications. March 8 is also the last day to qualify for Early Bird registration rate for June trip. (Hover your mouse over the text on this page to see the many helpful links embedded here). 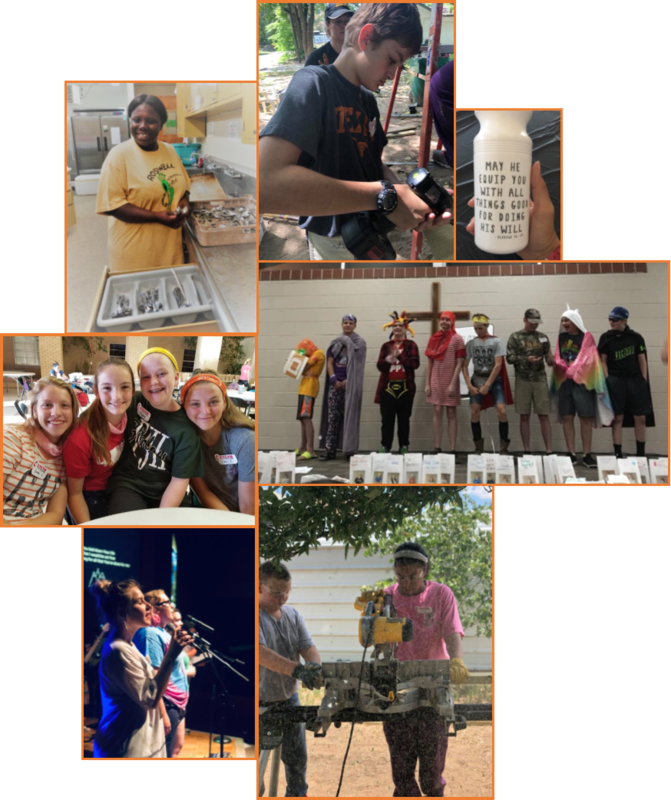 For two separate weeks each summer, youth groups from across the Central Texas Conference blend together to become CTCYM Living Centers. Each Center is led by a well-trained, all-volunteer staff dedicated to providing those youth and adults with a spirit-filled week of service. Not only will you bless the lives of people in need, but you will also bless the lives of the youth and adults you bring to CTCYM this year. Group Registration will be open September 7, 2018 - December 14, 2018. Register online by selecting the Group Registration button on the home page of this website. If you wish to registration, Click here to print out a hard copy of the Group Registration Form. Click Here for a fillable PDF of the form (must save the form to your computer first). Checks should be made payable to "Central Texas Conference." Individual Registration will be open January 4, 2019 - May 10, 2019 (June 7 for July trips). Work Team Adults are instrumental in guiding and facilitating a group of about five youth. Whether this is your first time being a Work Team Adult or your tenth, remember your purpose is to offer and experience God’s love through connection and service for the transformation of ourselves and the world. The video below provides answers to some very frequently asked questions from some long time veteran Work Team Adults. Please note that this video is not intended to replace the detailed information shared in the Work Team Adult Manual, which should be read thoroughly and referred to often in preparation for the trip. CTCYM Work Team Adult Training Video - The Voices of Experience from Central Texas Conference UMC on Vimeo. The video is available for downloading or sharing at ctcumc.org/WorkTeamAdult-TrainingVideo. Theme Song 2019: "Glorious Day" by Passion. Click here for YouTube link. trips, forms are due May 31, 2019, and for the July trip, forms are due June 28, 2019.
getting their forms signed because person were out of town on vacation or otherwise unavailable. If you have questions about MinistrySafe or the compliance form, please do not hesitate to ask. Where is my Group going? Where shall I send my payment? Payment address: Central Texas Conference, 3200 E. Rosedale St., Ft. Worth, TX 76105. Please make checks payable to "Central Texas Conference," referencing CTCYM in the memo or remittance advice. The bank does not accept checks made payable to "CTCYM." Reader required to view, download or print some files on this page. 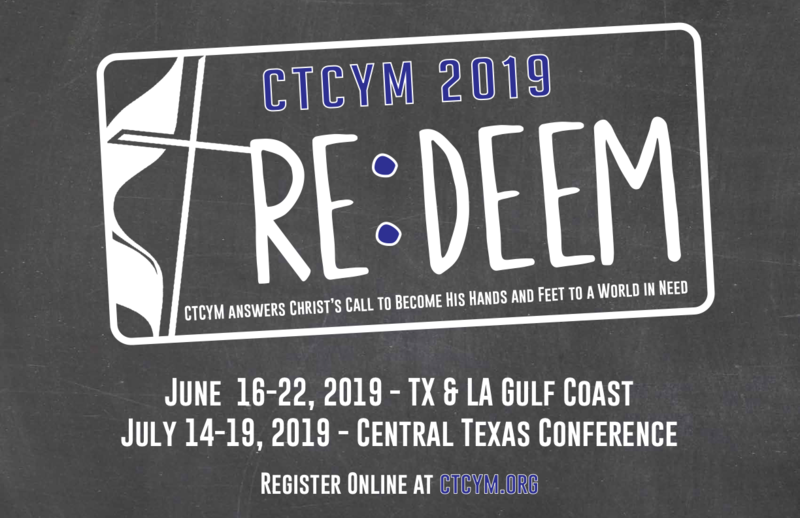 For information on other Youth Ministry events in the Central Texas Conference, be sure to visit the Youth Ministry page!